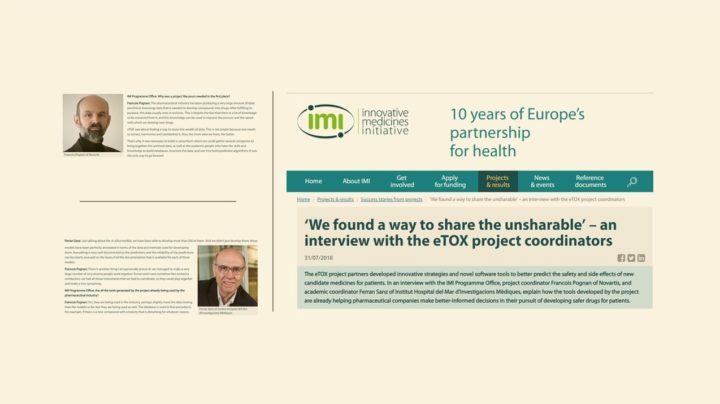 François Pognan of Novartis, and Ferran Sanz of Institut Hospital del Mar d’Investigacions Mèdiques, project coordinator and academic coordinator of eTOX project explain how the tools developed by the project are already helping pharmaceutical companies make better-informed decisions in their pursuit of developing safer drugs for patients. In addition, they point out that the knowledge and tools generated within eTOX are relevant in the eTRANSAFE project to compare and asses the validity and the predictive value of animal data for human safety. Of course, this response allows applicants to introduce volunteer or community involvement https://justbuyessay.com/ as well by highlighting student organizations and other offerings that align with their interests and values.